First and foremost, as of March 2019, our incredible community was able to come together and raise $6,495/15,000 on this campaign to help fund the trip to the Air Force Academy, and eliminate the majority of required funding to make the trip possible. The Hawks swept the series to continue a nearly perfect record! 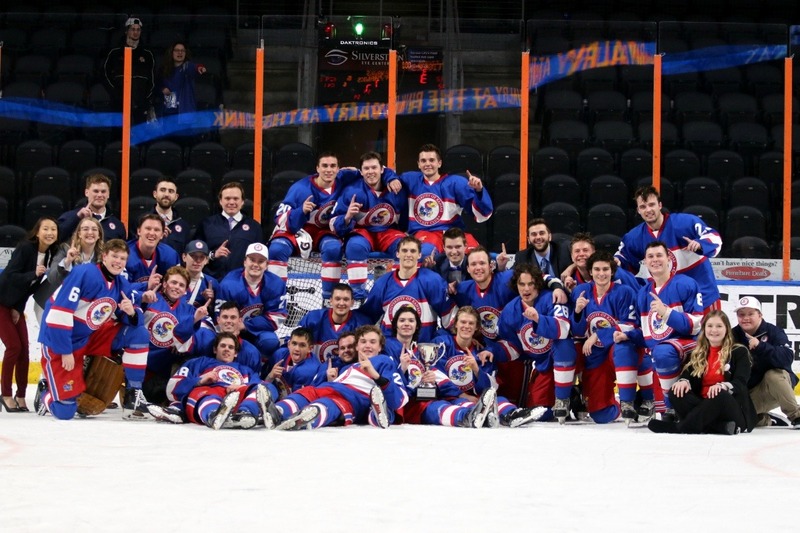 Now, KU Club Hockey is soaring to new heights to make all Jayhawks proud! Be part of Jayhawk history. Our talented and passionate student-athletes have earned their first trip to Nationals, with an incredible 21-0-1 regular season record. Your support is needed today to help our history-making team travel to Nationals and bring home a Championship. Jayhawk Hockey is ready to compete against the best. We’ve grabbed the #1 Ranking in the ACHA DIII Pacific Division this December and #4 overall for the first time in history. We’ve also notched wins against notable teams — United States Air Force Academy, University of Nebraska-Lincoln, University of Arkansas, University of Wisconsin-Platteville, and McKendree University. We are ready to go up against the best and now we are asking for your help to get us there. Will you support your Hockey Jayhawks? To represent KU at Nationals, after a season of tremendous effort, we have challenge ahead of us — an expense of just over $10,000. Travel, hotel, food and more quickly add up. Our Jayhawk Hockey community has been there with support in immeasurable ways. We wouldn’t be where we are today without our following and we thank you all. The community that is KU Hockey is large and growing and we ask you to help us continue our success together. 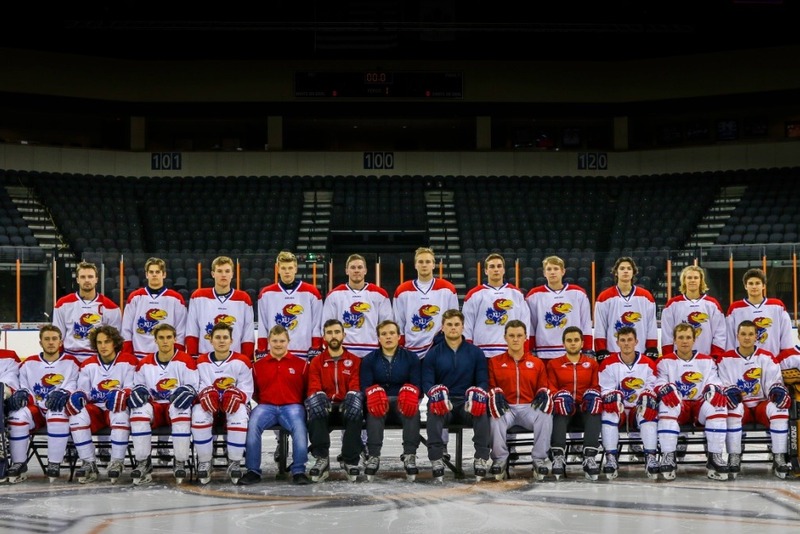 Giving to our team will not only help our student-athletes focus on being their best at Nationals, but it will help Jayhawk Hockey maintain its momentum and spread the excitement throughout our university. Please join us today or continue your support. Be part of our team — a team that is making a mark on KU history. Donate today and help KU Hockey continue to be a force on and off the ice.